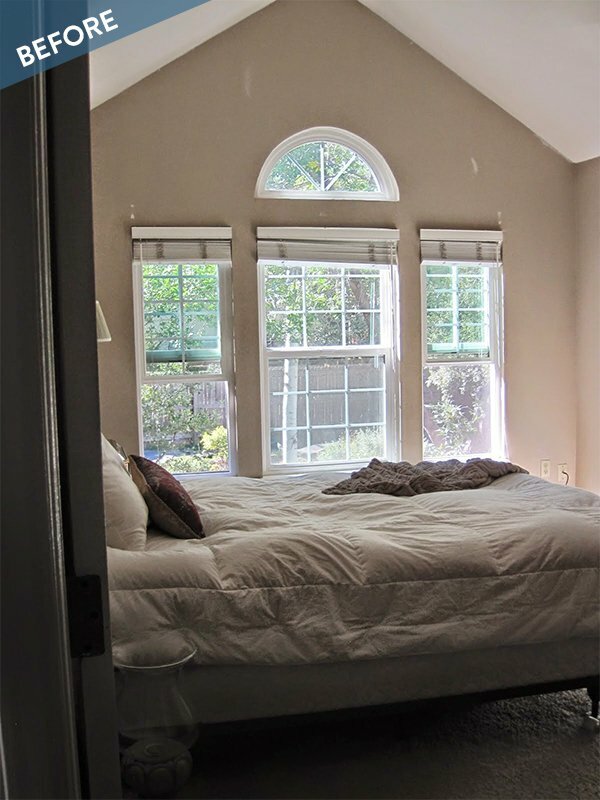 The picture says it all... this bedroom started out plain and boring. The unique windows were just begging for attention, and boy did they get it! 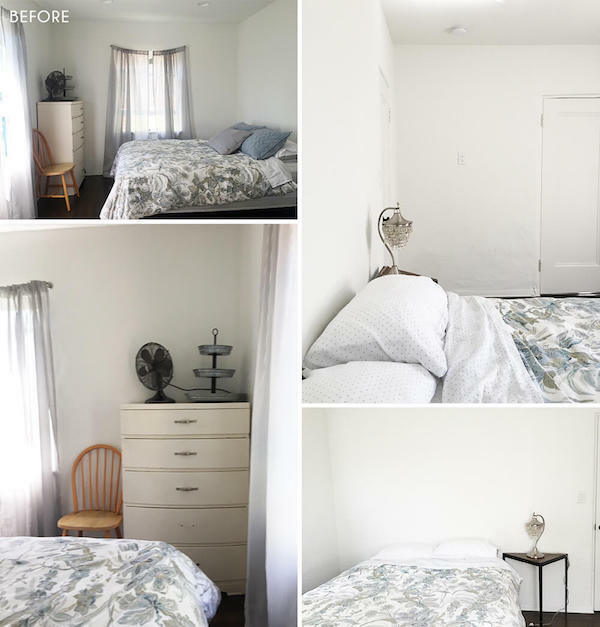 Click through to check out the elegant room that resulted from this massive makeover.